Safely and easily remove water from various surfaces of your vehicle! 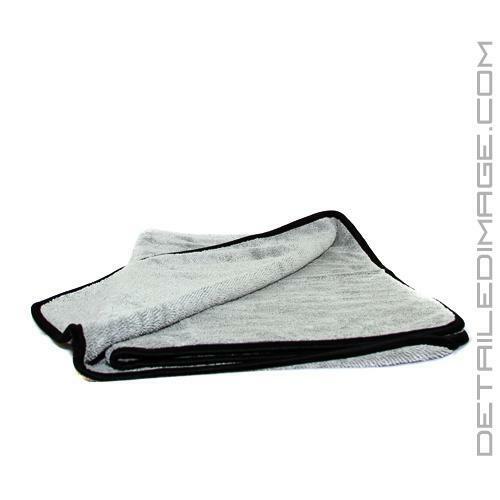 The Griot's Garage PFM Terry Weave Drying Towel is designed to quickly and easily remove large amounts of water from the surface of your car! After washing, it is easy to sit and stare at the beautiful beads of water, but do not forget that it is important to remove this water to avoid any streaking and water marks. The Griot's Garage PFM Terry Weave Drying Towel features long microfiber terry weaves, that act as a magnet, sucking in water droplets with ease. Just lay it flat, drag it across your car, and watch the water droplets disappear. The aforementioned, long-fiber terry weave, does not produce the surface tension and drag that is common with other ultra-thick towels. This allows this towel to glide across the surface and hold as much as 6 pounds of water! 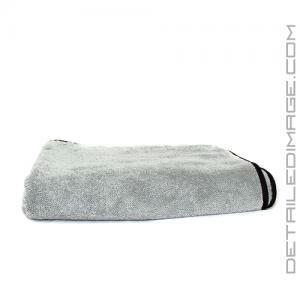 This terry weave towel measures 25" x 35" and has rounded corners trimmed with bound-in satin edging. This edging not only increases safety when using, it increases durability as well. 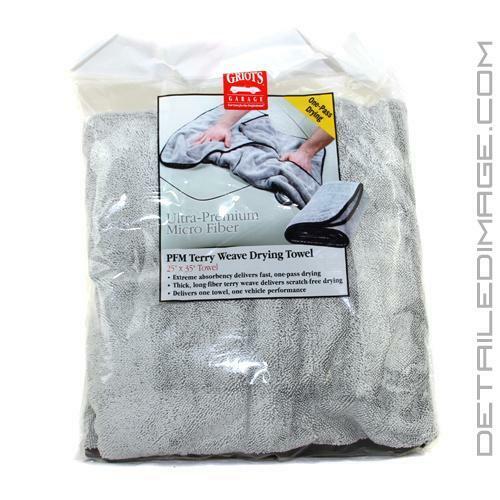 If you are looking to safely and easily remove water from the surface of your car, the Griot's Garage PFM Terry Weave Drying Towel is a great choice! Although the initial purchase price is a bit more than traditional units, these towels really are on another level, doing the work of two or more lower priced towels. I also feel they out-perform the other equally high-dollar drying towels I've used. I truly believe if you give these a try you will find yourself replacing your other drying towels and will be as happy as I have been with the investment. This towel is a rock star. Its innovative long-loop terry weave gives you the speed and convenience of one-pass drying. Just lay it flat, drag it across your car, and watch the water droplets disappear. Made from the best micro fiber in the automotive realm, this towel delivers unrivaled drying power but it doesn't produce the surface tension and drag that's common with other ultra-thick towels. Our ultra-premium micro fiber features rounded corners with satin edging to increase durability and prevent towel-induced scratches. Best drying cloth out there. I do 2 cars and drys both without ringing it out. I hesitated in buying this towel because of the cost. I have been using the DI waffle weave towels for years and feel it does a very good job. A review on DI from a detailer saying it was expensive, but worth it made me give it a try when I was ordering some other supplies. They should give a money back guarantee with this towel. I am sure no one will be returning one. When I wiped off the first panel, I couldn't believe my eyes. Every drop of water was gone. No wiping over to get a couple drops that were left after the first wipe. The only negative thing I have to say is that it could be smaller to make it easier to work with. On the hood, roof, and trunk, the large size isn't a problem. On the sides, I have to keep one hand holding the towel to keep the towel from hitting the ground or the tires while I am drying with the other hand. these towels are great well worth the Price.! You guys are becoming my go-to for detailing supplies; really appreciate your quick attention, reasonable shipping policies and promptness.